Whoever thinks that change a country is easy, please raise your hand up. It will always be much more comfortable to sit and watch a film and severely criticize it, than being actively involved in any of its multiple processes. Delving deeper into this analogy, “To Improve Mexico” is a great film idea. It’s a beautiful country, megacultural, with an enormous wealth poorly distributed and where the success of others is always questionable. Go figure! Undoubtedly we are experiencing a major climax of this story and of course, we all want a happy ending, but it’s that possible? Possible, yes. Easy, no. If changing the law for the benefit of an entire country would be easy, it would have been done at least since 30 years ago. There are many different interests and achieve a common goal is complicated, but maybe now that the crisis throws strong alarming inflation numbers and it’s beating the standard of living of all of us, it has led to the correct environment to start, after 15 years of freezing, with the structural reforms that we have needed for so long. It’s not exactly a Coin toss, perhaps it is a bet. There are deep changes that impact society; companies and the government itself that should not be taken lightly. At first sight, proposals seem unconvincing, many people want to see progress through secondary laws, but we are all confident that the mexican economy will grow slowly and will hold to it’s higher point. Indeed, the benefits of these reforms should be reflected in mexicans’s pockets. Unfortunately this won’t happen soon enough, it will be until the end of the actual government term, “too late” most of you may think, however to have started is already good progress and is on all of us, first the power of getting involved, then joining to demand continuity of the process to the successors in government. It’s possible, law is the most reliable vehicle; because the other side is faceless anarchy or crime. It’s a perfect time for the growing number of people who once hang in themselves the “anti-political” label, to shake off complacency, negligence and indolence. Time to learn and choose a side. Which side? The common good side. It seems that even in the highest levels of power are beginning to discover that their own wellbeing depends on others’s wellbeing and that division will conquer us all. Which are these benefits are exactly? 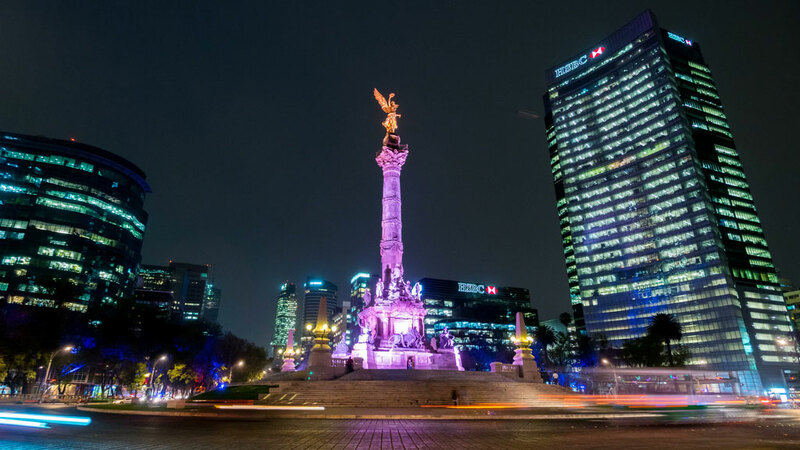 In brief: an economically stronger and more equitable Mexico. A comprehensive change formed by a series of adjustments to Educational, Telecommunications, Labor, Finance, Energy, Taxation and Social. Relevant examples of benefits at the household level are: no VAT on food, medicine, school fees, rent, home buying, mortgages, public shows or sports events. Decrease IMSS quotas for lower-income workers, incentives for companies to hire workers over 65, unemployment insurance for all formal worker*, protection for adults over 65 years with the Universal Retirement Pension*. * Programs considered in the Expenditure Budget of the Federation 2014; the Congress has not approved it yet, the constitutional amendments required it for its implementation. The film is being written every day and the best part is we all can participate to transform this enormous potential country. And regarding concerns about the reforms that may do more harm than benefit, nor good teachers, good employees, good businessmen, good public officials, nor good citizens should worry about it. The idea is to remove some privileges, especially for those who do not deserve them. No one with an entrepreneurial spirit will be badly in this Mexico that promises eager to fullfill being a better place to live. As a final thought, we leave you the introduction of The Great Learning (Ta Hsueh) by Confucius.